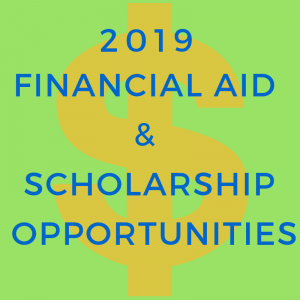 We have put together a list of potential grant and financial aid opportunities available to our families for Summer 2019. We hope it will assist you in the process of finding financial aid. We suggest contacting your local Federations, synagogues, and Jewish Children and Family Services organizations to explore their scholarship opportunities. This list will be updated as we learn more about applications opening, deadlines, and contact information. Thank you for your patience. PJ LIBRARY: PJ Goes to Camp is now open for 2019! Families interested in applying for a PJ Goes to Camp grant can request a PJ Goes to Camp / One Happy Camper access code by visiting our web page at www.pjlibrary.org/camp. That web page contains the rules and eligibility requirements of the One Happy Camper / PJ Goes to Camp program. It also includes an FAQ section with answers to most questions we receive about our program. If the answer to your inquiry that generated this auto-reply is on that page, you will NOT receive a response from our program team. The specific eligibility of any individual is determined only in response to your request for a One Happy Camper access code. However, if you are from a PJ Library family, a first time camper, and are attending a participating camp, it is very likely that you are eligible for a grant. Although the level of inquires is high, you can expect an answer to your e-mail inquiry within two work days. If your questions requires an immediate answer, we can also be reached by phone (413-276-0735), but it is likely you will be asked to leave a message. 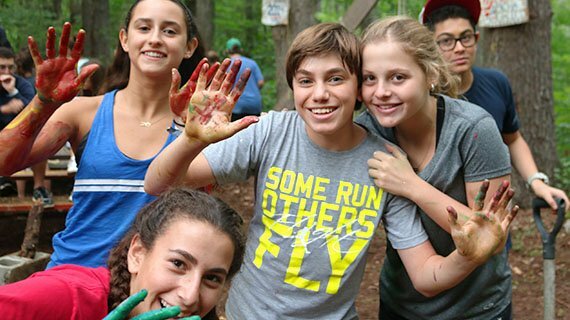 ATLANTA, GA RESIDENTS: Needs-Based Scholarship: The Jewish Federation of Greater Atlanta’s Camp Scholarship Program helps families in metro Atlanta with the cost of overnight camp tuition. Camp scholarships are based on financial need and are awarded by the Camp Scholarship Committee as a part of an anonymous review and allocation process. All applications and inquiries are confidential. 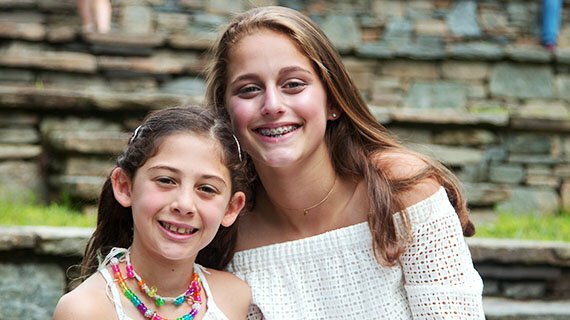 The camp scholarship program is funded through the generosity of individual donors, grants from charitable foundations, and the Jewish Federation of Greater Atlanta’s Annual Campaign. Click Here for more information. BROWARD COUNTY, FL RESIDENTS: Orloff CAJE provides need-based financial assistance for Jewish overnight camps to families residing in Broward County, on behalf of The Jewish Federation of Broward County, the Jewish Community Foundation and the Sonenshein Fund for Jewish Sleep Away Camps. Complete the application and return it, together with a complete copy of your most recent income tax return, prior to March 1. One Happy Camper is also available. Campers who received a One Happy Camper grant (www.onehappycamper.org) may also apply for need based financial assistance. Please contact Rochelle Baltuch – camp@jewishbroward.org or at 954-660-2077. MIAMI – DADE, FL RESIDENTS: The Greater Miami Jewish Overnight Summer Camp Scholarship is available. CLICK HERE to apply! If you have questions, contact Inbar Cohen at 786.866.8431 or icohen@gmjf.org. PALM BEACH COUNTY and BOYNTON BEACH NORTH through MARTIN COUNTY, FL RESIDENTS: The Jewish Federation of Palm Beach County provides up to $1,500 in camp scholarship for children who demonstrate financial need (for up to a maximum of 3 summers). The camp scholarship applications will be available for completion first thing in January 2019 and will be due, including all supporting paperwork, the first week in February. For more information or to access the application, please click here. Contact Samantha Miller Community Planning Associate 561.242.6608 or Samantha.Miller@jewishpalmbeach.org. 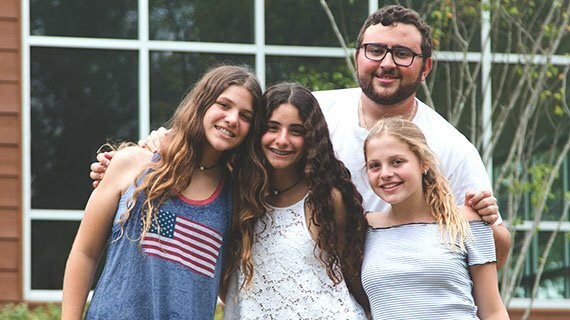 BOCA RATON, DELRAY BEACH, and HIGHLAND BEACH, FL: The Ruth and Norman Rales Jewish Family Service Center for Families and Children offers scholarship assistance to camp families who qualify and live in their service area of Delray Beach and Boca Raton. Contact Shari Cohen at 561-852-3171 or shariw@ralesjfs.org for more information. CHARLESTON, SC RESIDENTS: Financial aid for Charleston-based campers is available. Please contact Sara Chesley at saras@jewishcharleston.org or call 843-614-6491 for free and confidential assistance. ALABAMA, ARKANSAS, LOUISIANA, MISSISSIPPI, OKLAHOMA, TEXAS or TENNESSEE RESIDENTS: Application available beginning November 1st at www.jcrs.org. Priority funding will be distributed by February 15, 2019. Applications will still be accepted following that date, but funds may be limited. If you have questions regarding your application, please contact Janice Zazulak at Janice@jcrs.org or (504) 828-6334. INDEPENDENT COMMUNITIES: Thanks to the generosity of The Michael and Anita Siegal One Happy Camper Fund, six $1,000 incentive grants are available. Any Jewish child who would like to have a first-time experience at a Jewish overnight camp and who lives in a community that is part of JFNA’s Network of Independent Communities (small, outlying Jewish communities) is eligible to apply. The 2019 application is not yet available, but we will update this post once it is live. In the meantime, if you have questions regarding the One Happy Camper grant application process for Network communities, please contact Edward Finkel, JFNA/Network Regional Director, at (212) 284-6530 or by e-mail at edward.finkel@jewishfederations.org. Residents of Louisiana, Mississippi, Alabama, or the Florida Panhandle. Grants are not based on financial need. Both parents need not be Jewish. Temple or synagogue affiliation is not required. Click here for more information or to apply. For more information, please contact Ellen Abrams at 504-524-4559 or ellen@jefno.org. 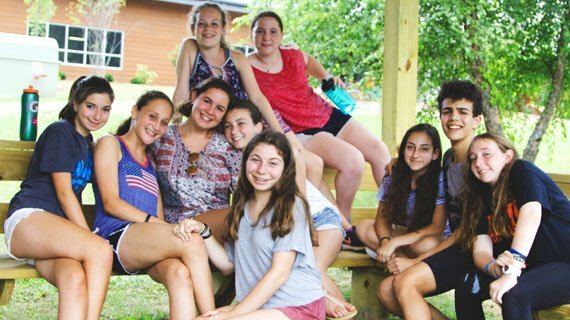 PINELLAS AND PASCO COUNTY, FL RESIDENTS: The Jewish Federation of Pinellas & Pasco County and the Covenant Fund are offering need-based camp scholarships for the 2019 camping season. Click here for information or to apply. For information or assistance, please call 727-530-3223. BIRMINGHAM, AL RESIDENTS: The Birmingham Jewish Federation offers limited need-based camp scholarships. To learn more about how to apply, contact Lynn Rathmell from Collat Jewish Family Services lynn@cjfsbham.org or 205.278-7105. GREENSBORO, NC RESIDENTS: Grants and Financial Assistance, including the The Greensboro Jewish Federation Stanley Shavitz Camp Judaea Camper Incentive Grant, are available only for Greensboro residents who are contributing members of the Greensboro Jewish Federation. Contact Hannah Henza, Program Coordinator of Greensboro Jewish Federation, or Betsy Gamburg, Director of Jewish Family Services, about any aspect of this information. WESTERN NORTH CAROLINA RESIDENTS: The WNC Jewish Federation offers need-based financial aid. Download the information and application. 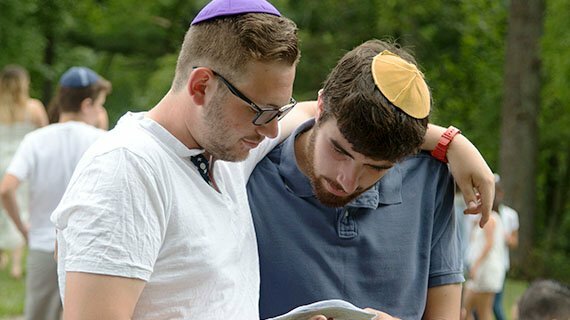 JEWISH FEDERATION and FOUNDATION OF NASHVILLE AND MIDDLE TENNESSEE: The Jewish Federation of Nashville and Middle Tennessee realizes the importance of building Jewish life and makes available on a need basis financial assistance for students to attend Jewish summer camps. To request information on summer camp opportunities or for a scholarship application, please contact Becky Gunn at the Jewish Federation office, 615-356-1624, or by email, becky@jewishnashville.org. 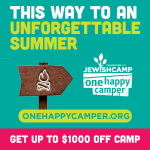 JEWISH FEDERATION of SARASOTA-MANATEE: The Jewish Federation of Sarasota-Manatee, in partnership with local philanthropists, offers incentive grants for Jewish children planning to attend not-for-profit Jewish overnight camps for the summer. There will be need-based and need-blind grants available. Applications open November 1st and the deadline is January 25th, 2019. Click here for more information or to apply! Contact Andrea Eiffert at Aeiffert@jfedsrq.org or 941-552-6308. OTHER OPPORTUNITIES: Please check with your local synagogues and Federations for opportunities that may be available to your family. As a reminder, this year One Happy Camper grants are generally offered only through PJ Library and specific local Jewish Federations. If you know of any opportunities that are available, but not listed here, please email Camp Judaea at info@campjudaea.org. Reminder: Most granting agencies that award funds on a needs basis want to know that families have made arrangements with Camp Judaea to cover a portion of the tuition prior to applying for scholarship. If you have not already, please ensure that you have a payment plan with camp that covers a good portion of your balance. When applying for assistance, agencies will want to know that you have approached multiple sources for assistance. Besides the places listed above, synagogues and Jewish Family Services are also good places to try. We understand this process can be confusing and frustrating at times. We would like this process to be as easy as possible. 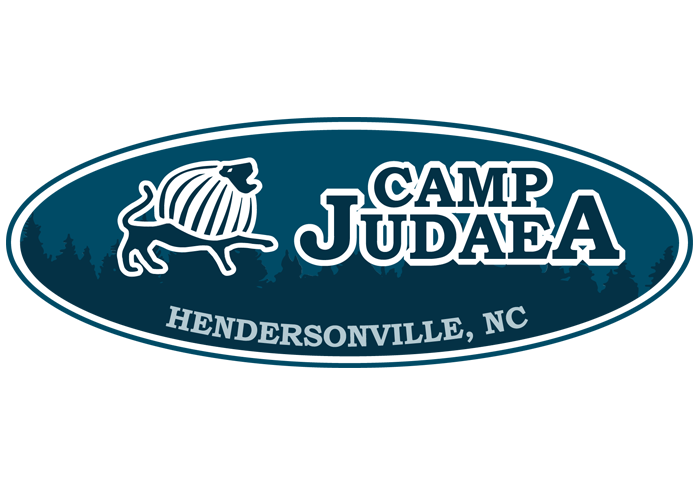 If you have questions regarding the scholarship process, please don’t hesitate to contact us at 404-634-7883 or info@campjudaea.org. Please consider supporting Camp Judaea Scholarships. You can donate here or contact us at 404-634-7883 or info@campjudaea.org. Your contribution is tax-deductible!